Favorite Adoption Story: While adoption has not occurred in my immediate family I do have several friends who have been adopted. It has been interesting to hear from them, as mature adults, regarding their adoption experience. Many of them were adopted during the era when adoption was ‘secretive’. Based on their personal experience the new emphasis on ‘open’ adoption is heartily supported by them. It is exciting to be a voice for children in all stages of their development, especially for the unborn. Since I also struggled with infertility for many years I am able to relate to many people who call searching for solutions. After years in corporate America it is my joy to work for an organization that directly and positively impacts the lives of children and adults. 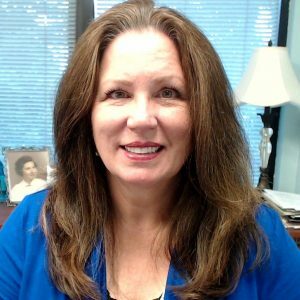 Education: Kimberly Tyson has more than 40 years of marketing and leadership experience developing and deploying leading edge technology products and services for top-tier companies. An accomplished corporate marketer, her vision and expertise in business performance have brought goal-oriented success in the medical, education and general business sectors. She received her BA from Colorado State University in Business Administration-Marketing with a minor in Political Science. Responsibilities: The Nightlight federal grant programs have been directed by Kimberly for the past 10 years. Under her leadership with Embryo Adoption Awareness Center was created, providing families with educational training, videos and online resources to learn more about this unique adoption alternative. In 2015 Kimberly was given responsibility for leading the Snowflakes Embryo Adoption Program. Her skilled team of experts has increased program participation over 150% in the past three years.